More epic filming for Winter Nutz 5. 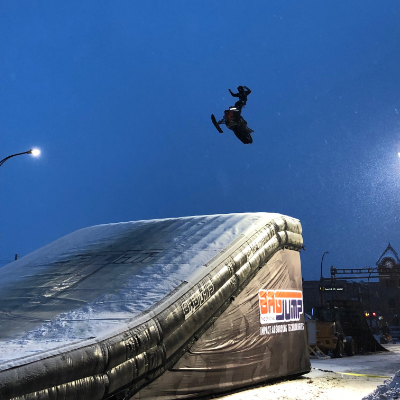 Travis Lachkovics is catching huge air after everyone cleared from the poker run. 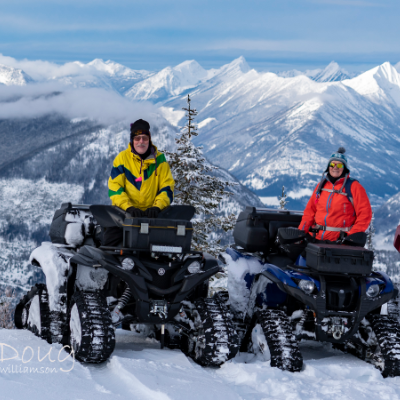 Trip planner: What you need to know before snowmobiling in Cranbrook, B.C. 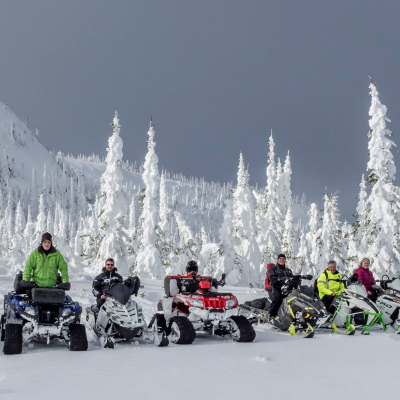 Trial maps, top snowmobile trails, club contacts and other useful information you can use before planning a snowmobile trip to Cranbrook, B.C. 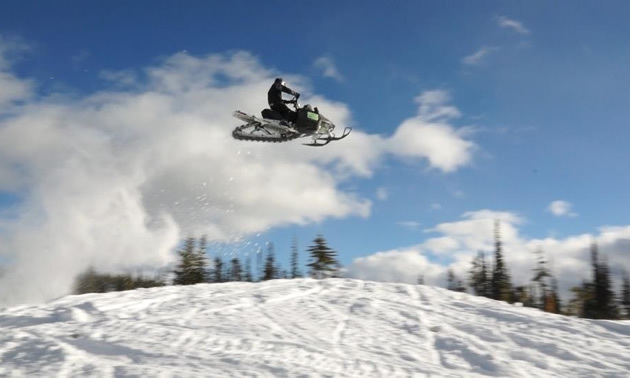 Check out these snowy shots from Winter Blitzville in Cranbrook, B.C. 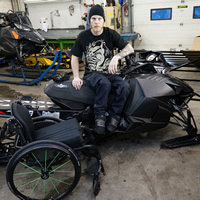 Old Sled Sighting – The Ultimate Hood Ornament? 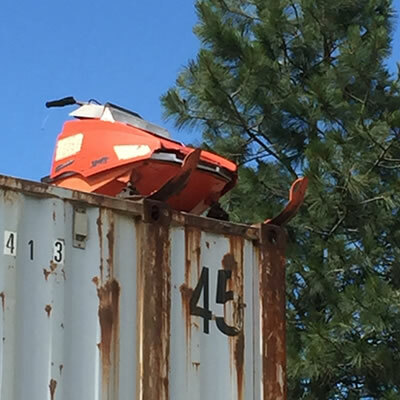 SnoRiders is always on the lookout for vintage sleds, and spotted this one perched on top of a storage container in a local industrial park. 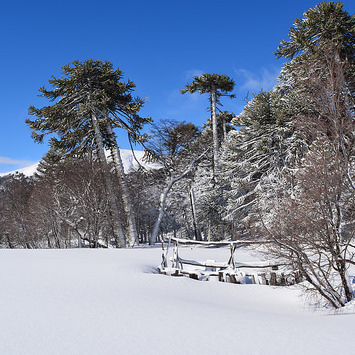 Cranbrook’s most popular sledding area offers quick access to groomed trails, powder-laden lakes and high alpine riding. 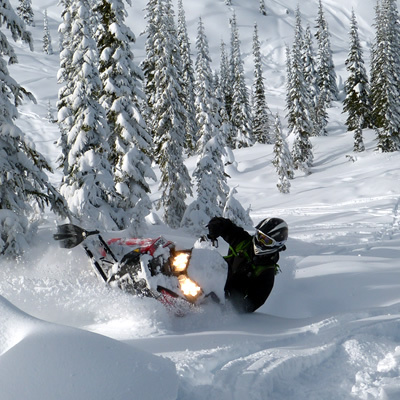 Where to get snowmobile trail passes and maps for Cranbrook, B.C. 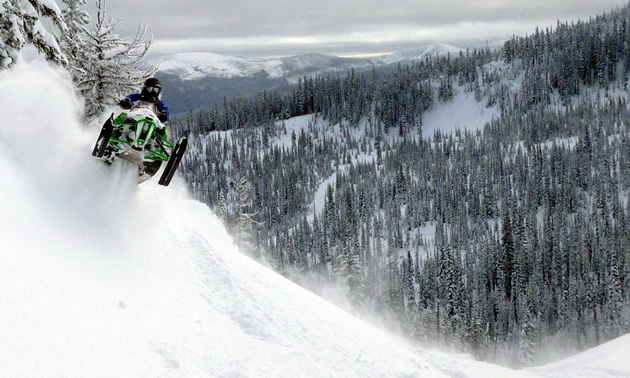 A sampling of snowmobiling in Cranbrook, B.C., with five of the author’s favourite photos. 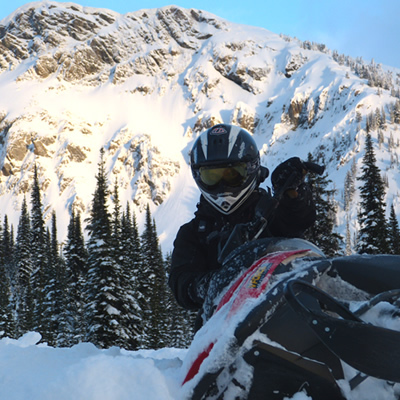 Brandon Scott spent his summer vacation snowmobiling in the Andes Mountains of South America. 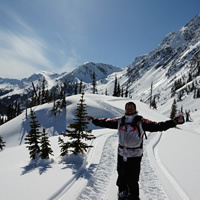 Local rider Sheldon Kelly spent last winter riding with and filming Cranbrook sledders for his movie Winter Nutz 5. 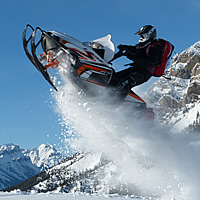 Snowmobilers in Cranbrook are spoiled for choice. 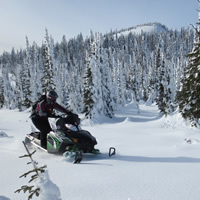 SnoRiders staff member heads out for an early season ride in the Lumberton sledding area near Cranbrook, B.C. 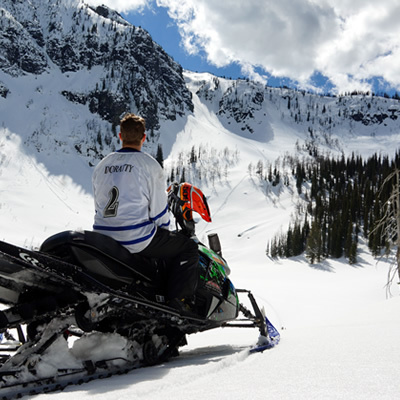 If you're looking for a place to snowmobile with deep powder and magnificent views, you need to look no further than Cranbrook, B.C. 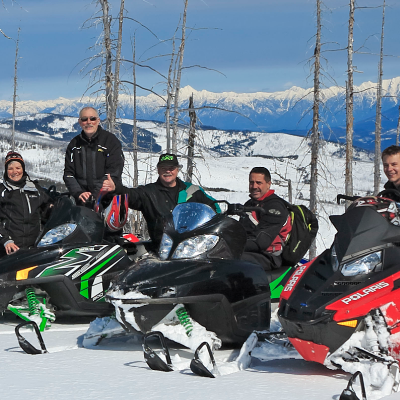 Explore the possibilities in Cranbrook, BC Situated at the base of the Rocky Mountains, the community of Cranbrook provides its winter guests with an abundance of snowmobiling possibilities. 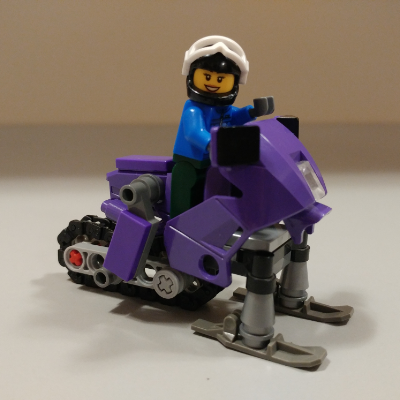 Sledders will find everything from beginner to extreme mountain riding here. 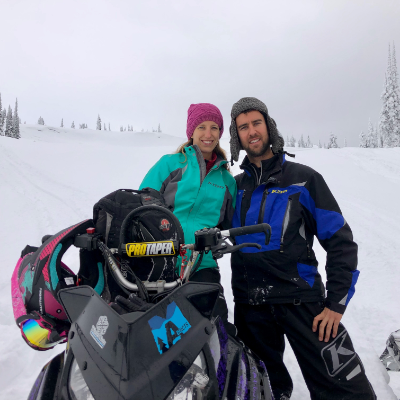 The Cranbrook Snowmobile Club's two-storey cabin in the Lumberton sledding area is renowned for its luxurious amenities that include a propane stove, wood heat and bunk beds to sleep 20. 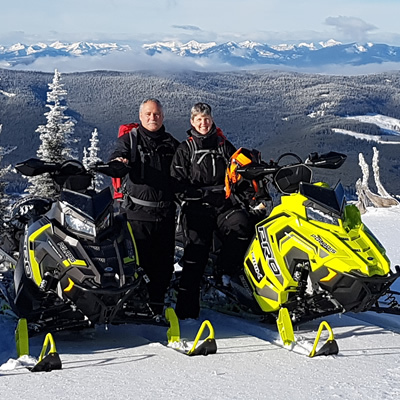 Scroll down on our Cranbrook landing page for information on sled dealerships, destinations, snowmobiling trails, snowmobile-friendly accommodations, local snowmobiling clubs and more.